When Dyson engineered its Pure Cool and Pure Hot+Cool air purifiers, it was thinking about cleaning the air in a room, an apartment, or even an entire house. Those products have features to control noise and airflow, and can report on the air quality relative to outdoors — even track it over time. If those products were a buffet of air purification, the Pure Cool Me is a table for one. 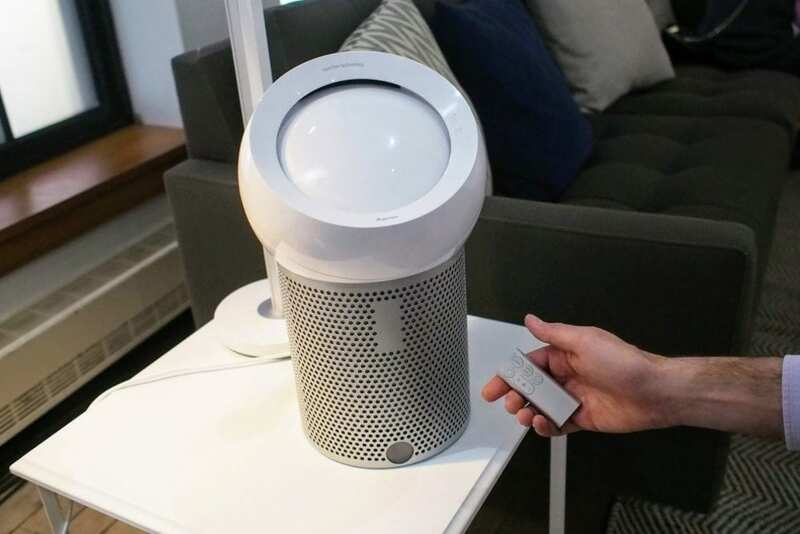 It’s smaller, cuter (its orb-like shape is a sure conversation-starter), and it’s designed to blow cool, clean air at a single person. The egg-like surface within the semi-sphere on top directs the airflow. It uses something Dyson calls Core Flow technology to move air, which is quite a bit different from the company’s Air Multiplier tech — the bladeless-fan system the company has used on its other cooling fans and air purifiers — but it didn’t seem any less powerful. I also quite liked the method of adjusting the angle of airflow: just push the egg up or down. Like Dyson’s other air purifiers, there’s a front LCD that lets you know the mode and the speed of the airflow. Unlike those products, the Pure Cool Me is not a smart product. You don’t connect this to your phone, or measure air quality over time. The logic here, Dyson says, is this product is meant to provide clean air for a person, not a space. I suppose there’s something to be said for managing expectations, but it still struck me as an odd choice. At least you still get a timer, which you can set with the remote control. The Pure Cool Me also has a filtration system that’s different from the other Pure products, though Dyson still advises changing every year, assuming 12 hours of daily use. Dyson’s pod-like air purifier will probably score more points for its fun, future-y design than its novel airflow tech or purification features. There are much cheaper personal air purifiers out there, but how many are also ready to double as droids in the next Star Wars? The Pure Cool Me is available March 20 for $349.99.